Reading was a much-loved hobby of mine growing up but when college and then my career took over in my twenties, I never seemed to have the time anymore. One of the (many) good things that happened because of my cancer diagnosis was my return to the world of books and my learning that reading can also be a valuable self-care tool. At first, I was in such a bad place after my diagnosis that I was terrified to read a book that might mention a character with cancer. I would only read a book that someone had recommended to me to be uplifting and feel-good, and promised had no mention of the C-word. I’m glad to say since then I’ve found some courage! So the first books I started reading after my diagnosis were a re-read of the Enid Blyton’s Famous Five series which I had first read in my early teens. Yes, they’re for children – but I remembered their safety, the wholesomeness, the guaranteed good-endings, the descriptive writing of times past and carefree childhoods spent camping and caravanning on Kirrin Island and the English moors… I knew I’d find no cancer there. So I devoured the series again, starting at the very first book, until I had read them all. And then, I wondered, now what? 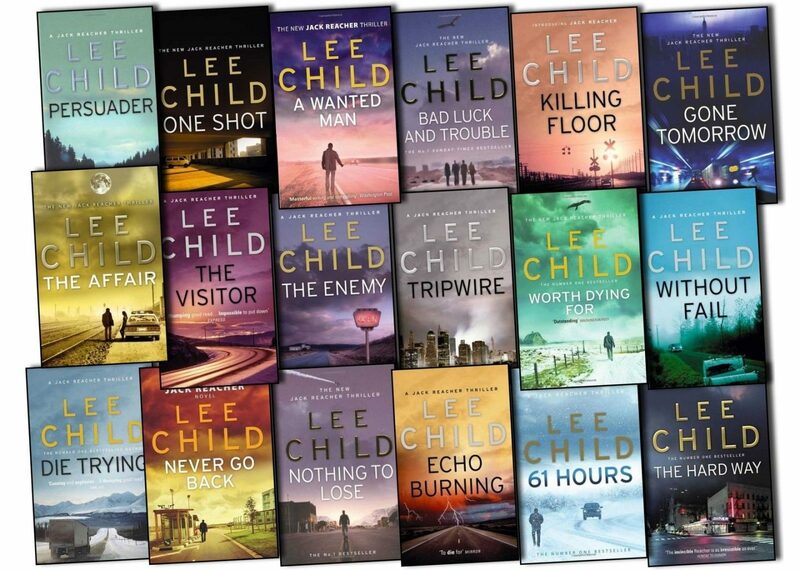 Then I remembered the Jack Reacher books by British author Lee Child. They had painted a vibrant vision of America in my mind before I had ever been there and I knew I had not read them all. And so onto my Kindle I went, and more Reacher books were bought. At that time I would get very anxious every night around 10 or 11pm, so I would head up to bed, disappear into Reacher’s world and read until my eyes were heavy. So today’s post is my recommendation to you – the Jack Reacher books are an exciting series of books that will transport you to another world entirely, away from cancer treatment, hospital appointments and all of that associated anxiety. A former major in the United States Army Military Police Corps, Jack Reacher roams the United States taking odd jobs and investigating suspicious and frequently dangerous situations. Most of the novels are set in locales ranging from major metropolitan areas like New York City and Los Angeles to small towns in the Midwestern and Southern United States. The books are not just for men, I promise! I’ve loved them all. They are a real slice of American pie, in a diner, with a black coffee and a dime left over for the payphone. If you’re looking for something to read, start with any of the early books in the series and go from there. You don’t have to start with book one, but I know once you’ll get started, you’ll be hooked.